An Indian court headed by the National Investigation Agency (NIA) has acquitted four terror suspects in Samjhota Express blast in 2007 that had killed 70, including 42 Pakistanis. This included the radical right-wing extremist Swami Aseemanand, who has political links with Indian PM Narendra Modi. Prime suspect Swami Aseemanand and three of his accomplices have been acquitted of the terror attack on the train, which was going to Lahore from New Delhi. 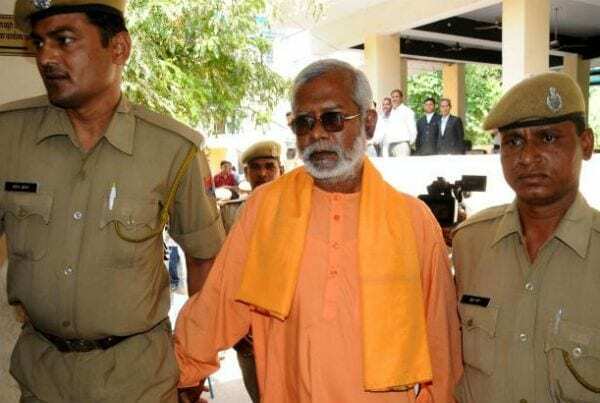 Aseemanand, has also been linked to three other bombings against Muslims or targetting them and is reported as having a shockingly cavalier attitude to the accusations. The NIA had submitted that the accused had attacked the train to take revenge against the terror attacks on Hindu temples However, the accused had pleaded they were falsely implicated and that their confessions were taken under duress. According to the report, NIA Counsel RK Handa said that the court concluded that the investigating agency failed to prove the conspiracy charge and the accused ‘deserved the benefit of doubt’ in the case. Pakistan has condemned the acquittal of the four accused in the terror bombing incident. Foreign Office Spokesman Dr Mohammad Faisal said that more than 42 Pakistani nationals were martyred in the terrorist attack. “When will the families of those martyred get justice?” he said. The accusations by Pakistani experts centres around the fact, that the Indian court dismissed a key witness in the hearing, A Pakistani woman who was on the train, claimed that she had evidence relevant to the case. However, she said that she has not yet received a visa nor a call or a summon. The lack of justice has caused an outrage in Pakistan. Last month India attacked Pakistan in Airstrikes against terrorist attacks in Kashmir. What followed almost lead to a war between the rival nations.